Search engine optimization—it’s highly technical, fast-paced, and often nerve-racking. It’s also essential. Every business needs to implement some SEO strategy in order to be visible to online users and draw relevant traffic to their site. However, it also just so happens that the process behind this highly demanded service is often esoteric to the average business owner. SEO involves a number of moving pieces, not least being Google’s seemingly ever-shifting algorithm. It takes time to move the needle, and most businesses don’t have the patience or the time to fully grasp each technical step required to get there. As such, trust plays a more important role in a partnership with an SEO provider than it does with others. Here is where SEO Brand stands out. We are committed to building a loyal and trustworthy partnership with our clients. We’re not content to just provide boilerplate solutions. We take the time to learn about the competitive landscape and unique aspects of our client’s business, and find ways to innovatively overcome their challenges. We look at every possible touchpoint, including everything from web development and graphic design to PPC and public relations. We then evaluate how each piece connects to the other, and in tandem, can ultimately bring sustainable value to a business. We realize that case studies and client lists published to our site are not enough to convince a prospective buyer that we are true to our word. A business needs to do their due diligence and take a number of factors into consideration before hiring an SEO firm. Previously, we wrote a blog post on the importance of online reviews, and discussed in depth how reviews can help form strong relationships between a brand and its consumers, and guide business improvements. Clutch, a B2B market research firm, based in Washington, D.C. gives firms the opportunity to control their reputation by having online, verified reviews. There is value in having short testimonials on your site or on Google, but Clutch takes a unique approach. Their analysts speak directly with a firm’s clients. The phone interviews encourage the clients to speak frankly and comprehensively about their experiences. Rather than just being a bulleted list of services rendered and the results, the finals reviews discuss all different aspects of a collaboration, including any challenges, the project management, and areas for improvement. There are many other insights from the reviews that speak to the quality of our work and business acumen. As a result of our high performance and strong client feedback, we also rank in the third position globally across Clutch’s Leaders Matrix for SEO service providers. It’s validating to see our hard work has resulted in this recognition, but more importantly, we’re excited by the possibilities Clutch affords us in the way of growing as a company and helping new businesses reach their full potential. SEO Brand is the vigilant and trustworthy partner that the dynamic world of digital marketing and SEO demands. SEO Brand Awarded Top 2017 SEO Company! Clutch recently released their research on the top digital marketing and design agencies featured on their directory, and across the globe. 240 companies were ultimately chosen as leaders in specific sub-categories, and SEO Brand is thrilled to have been named a 2017 top SEO company! Clutch, a B2B ratings and reviews platform, connects buyers with an agency that can meet their business objectives. Particularly in the realm of SEO, it’s not easy identifying an agency that is transparent, trustworthy, and committed to a client’s business. There are any number of agencies who still try to get away with black hat tactics. SEO Brand, on the other hand, has a proven track record of success, working closely with each one of our clients to craft campaigns that genuinely align with our clients’ business objectives. Clutch evaluates each firm based on a set of quantitative and qualitative criteria, among them being the reputation that they have attained in the industry, the quality of their previous work, and also the types of clientele they serve. Across the board, SEO Brand has consistently proven our leadership in the industry, resulting in previous recognitions by Clutch. However, what drives our team and the primary reason for this achievement, is our clients. Their partnership and the challenges they set out to accomplish underpin the vision of our agency. Clutch leverages the voice of the client through online, verified reviews. Through direct phone interviews, our clients have graciously given their time to provide feedback on their collaborations with us. Detailed overviews of these projects can be read in full on our profile. 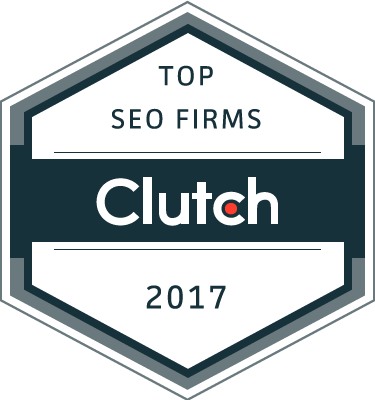 On SEO Brand’s partnership with Clutch and this recent achievement, CEO, Mike Salvaggio responded, “It’s a great honor to be recognized on this scale. We pride ourselves on being an award-winning agency, and we’re committed to delivering excellent customer service and improving our advertising best practices through our continued partnership with Clutch”. It’s a great honor to be recognized on this scale. We pride ourselves on being an award-winning agency, and we’re committed to delivering excellent customer service and improving our advertising best practices through our continued partnership with Clutch!